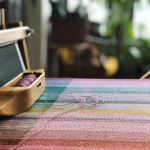 Maine Craft Weekend (MCW), a statewide tour of Maine craft studios, breweries and businesses, is an opportunity for the public to explore the life and work of craft artists and craft brewers in Maine. MCW is a public, educational, community oriented, family friendly weekend; free listings are available to members of the Maine Crafts Association, Maine Made, and Open Studio Maine. Maine Craft Weekend is produced by The Maine Crafts Association with Event Partners. 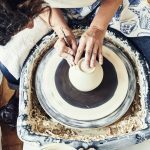 Examples of participating sites include individual potters’ home studios, craft galleries, glass blowing studios, outdoor installation sites, non-profit craft organizations, craft-based schools, craft beer breweries and craft beer brewery-restaurants. Events will vary by type of location and will include open studios, demonstrations, tastings, exhibitions, sales, tours, kids’ projects and other creative and interactive activities. Craft artists, retailers, breweries and other related businesses and events interested in being included on the map and in our marketing should contact us.